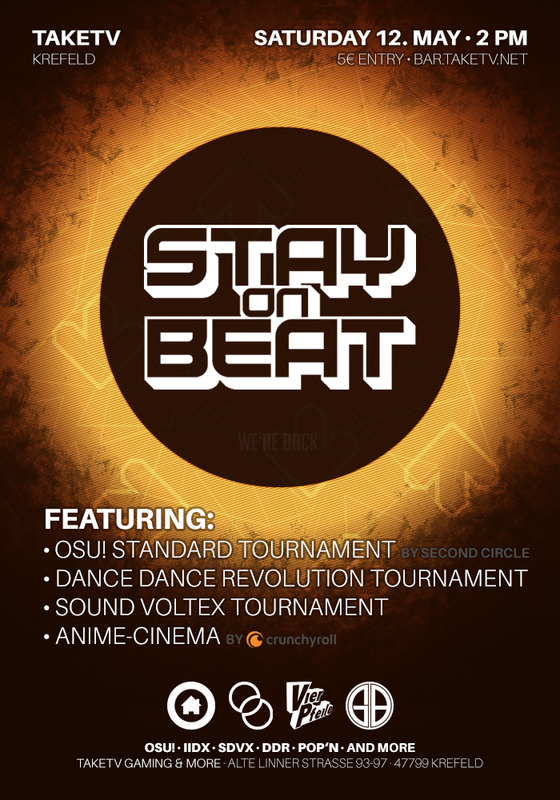 Stay On Beat returns to Germany on the 12th of May! Pretty much exactly one year after the last Stay On Beat, we’re doing it again – on the 12th of May, TaKe’s Gaming Bar in Krefeld, Germany, will be filled with all sorts of rhythm games for the entire day! For those who’ve been there last year, it’ll be pretty much the same deal – we plan to have the same lineup of games, plus maybe one or two new extras. Of course, the anime showroom will return, as will the competitions in SDVX, DDR and osu!. This time around, we’ll be running the official eAmusement@home setups for IIDX and SDVX, so you can get as close to the feeling of the real arcade as possible! Well, outside of downright importing cabinets, but we’re not quite Tokyo Attack yet! 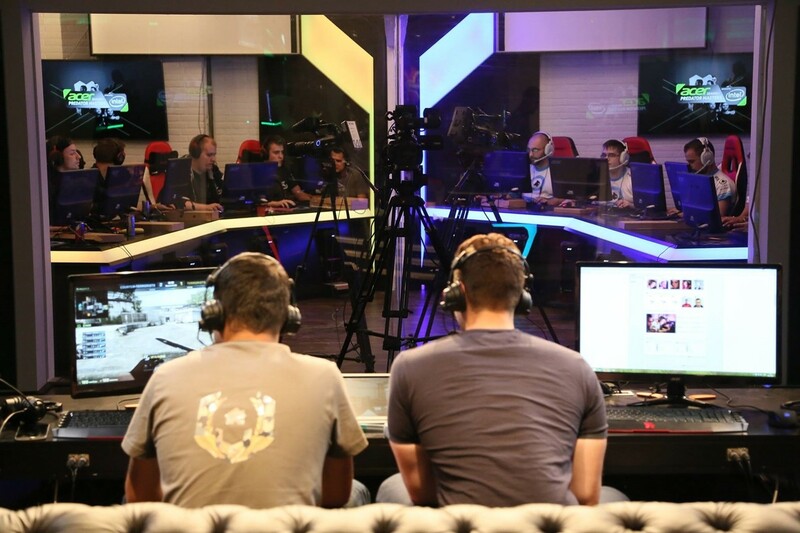 Another change we’ve made is moving the opening time forward for an hour so we have a little more time for the tournaments – especially osu!, which eats up more than 4 hours on its own! So be sure to keep that date open and join us for some rhythm gaming fun at TaKe’s! Hatsune Miku announces her debut appearance in Europe!